Democrats and the media have pounced on Barr’s statement, trying to paint it as a wacky conspiracy theory that was completely unjustified. The truth is, we have known definitively that the Obama administration spied on the Trump campaign for quite some time. There’s no reason for Democrats or the media to pretend that this is an unjustified claim. The New York Times even reported on it back in 2017 before Trump took office. 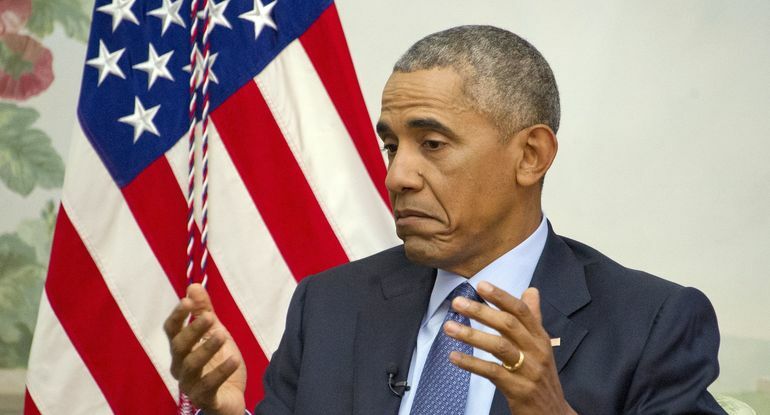 For years now, Barack Obama has insisted that he had scandal-free administration. Often cited as evidence for this claim is the lack of indictments of Obama administration officials. Of course, what is often ignored is the fact that the Obama administration was notorious for protecting its officials by stonewalling and obstructing investigations and hiding behind executive privilege. If there’s anything we can conclude from Barr’s statement it’s that after two years of a bogus Russian collusion investigation we appear on the verge of getting to the bottom of the real story that has been ignored: the illegal spying on the Trump campaign by the Obama administration, and the bogus origins of the Russian collusion hoax. Former Trump campaign aide David Bossie agrees. “The central question I would have if I am attorney general is: What did Barack Obama know, and when did he know it?” We know that Obama wanted to be kept in the loop about everything involving the Hillary Clinton email investigation; it doesn’t take a huge leap of faith to believe Obama was in the know about the Trump spying as well. Former Trump campaign advisor Michael Caputo told Trish Regan on FOX Business on Tuesday that he was “approached by a Russian national FBI informant in late May of 2016,” offering dirt on Hillary Clinton, but he turned it down. Caputo only learned that the individual was actually an FBI informant after being interviewed by investigators for the Mueller investigation. “When they asked me about him, I told them what I knew. By their faces, I knew that it was someone that had been sent to me. It was after my interrogation with the Mueller team that I went out, hired private investigators and found out the guy had used a fake name, Henry Greenberg, and that he had been working with the FBI for 17 years.” Caputo believes the Obama administration was trying to frame him and others in order to pin collusion on Trump. Is the tide really turning against the Obama administration, which, for so long has managed to avoid accountability for their corruption? Obama, coming from the notoriously corrupt Chicago political world, certainly knew how to protect himself, or at the very least insulate himself from culpability. In 2008, Obama used an intermediary to relay to then-Illinois governor Rod Blagojevich who he felt would be the best replacement for his vacant U.S. Senate seat in the Senate-Seat-For-Sale scandal that helped put Blagojevich behind bars. Obama also used former President Bill Clinton to illegally offer Congressman Joe Sestak a job in the Obama administration in exchange for ending his Senate campaign. While I have no doubt Obama-era corruption went all the way to the top, it is also apparent that Obama surrounded himself with loyalists willing to do his dirty work and protect him at all costs. The important Obama-era corruption may finally start getting the attention it deserves, and that’s a good thing, as long as we start seeing justice. Is the following development a case of unintended consequences or planned? Seattle ignores reality and will pay the price.